Pine Cliffs golf course is one of the most attractive courses to visit near Albufeira in Algarve. The course is unique in nature as it sits on a cliff overlooking beautiful ocean waters. A highlight many players look forward to is the fifth hole (the Devil’s Parlour) that sits over a ravine that looks down onto sandy beaches below. Many golfers would like to know what they should do when playing at this course. After all, there are other challenges you may run into due to the location of the course including slopes, hills and the challenging fifth hole near the cliff’s edge. Here are some tips to help you plan your strategies for playing the Pine Cliffs golf course. The Pine Cliffs golf course has a unique element that many golfers enjoy, but it helps to understand it from another perspective when you take time to study it. 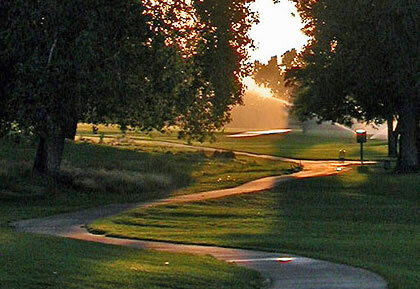 The course map provides great insight on what to expect when playing on the course. You can make notes on strategies and tactics to include as you make your rounds. Some holes may not seem as challenging depending on where they are located on the course. Yet, because of the cliff aspect be sure to note you may deal with more wind in certain parts. Another way to help you plan your moves is to learn from others. Get an idea of what other players endured when playing at Pine Cliffs. There are review sites and travel websites with details from golfers you may find helpful. Few share their experience playing at some of the most challenging parts of the course. This information can be helpful especially if this is your first visit. Look for tips and advice that gives an idea of what conditions you should expect (windy, fast grass, etc.). You can get a preview of what to expect while getting warmed up in the process by taking lessons. Pine Cliffs golf course offers a golf academy where lessons are available. You can also practice putting and chipping in the practice area before making rounds on the course.